Feature/cover illustration for Evansville Living Magazine. 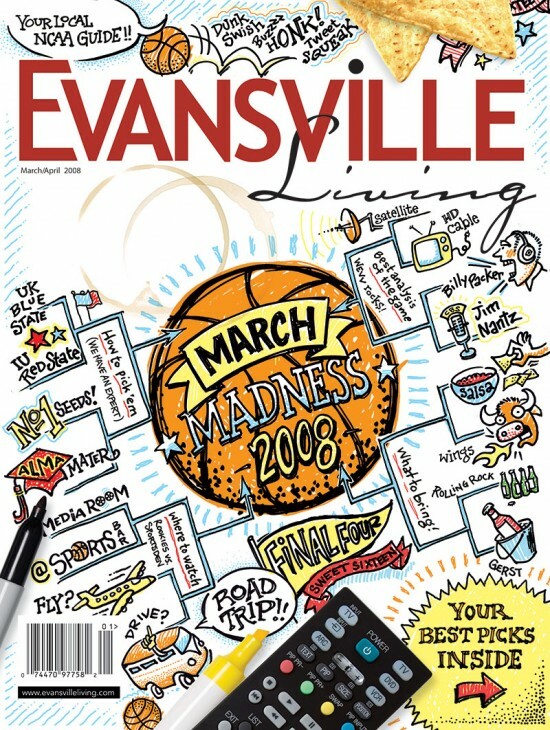 We wanted this piece to look like a doodle, as if someone was considering their bracket during March Madness. 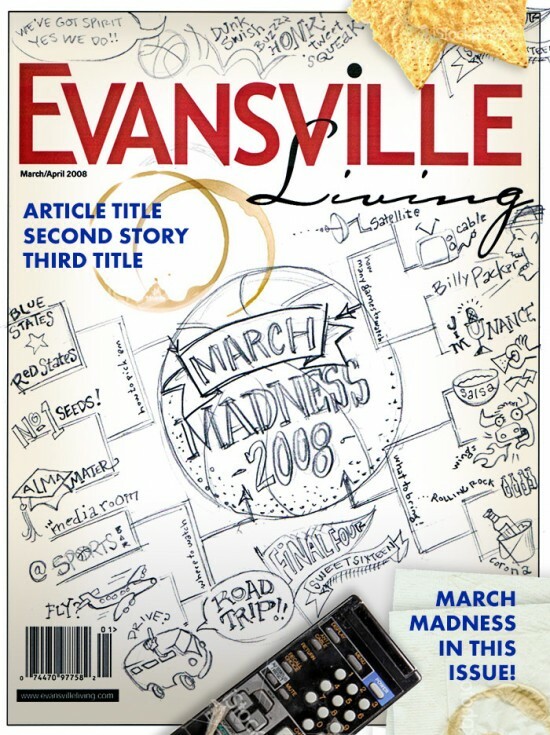 Each graphic can be pulled from this main composition and used throughout the articles as spot illustrations.